The Way of Prayer Leader's Guide is also available. It's said that prayer is so primal an urge for humankind that we're born into the world praying. Yet, something so natural and seemingly so easy comes hard sometimes. 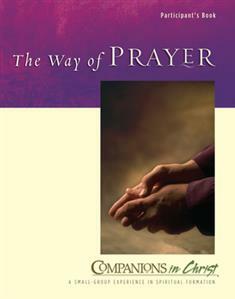 The Way of Prayer is a 10-week small-group study about the nature, practice, and results of prayer. Some forms of prayer arise in our lives spontaneously, some are learned by rote, and others are stumbled upon as we move through life.